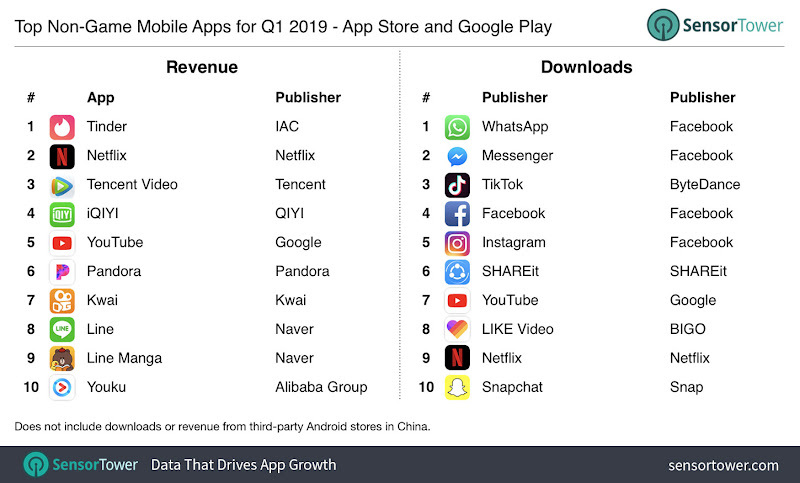 In the global apps category (excluding games), Whatsapp, Messenger and TikTok are the three most downloaded apps across both the stores ranking. However, TikTok is the most downloaded app in the U.S. followed closely by Instagram and Facebook. 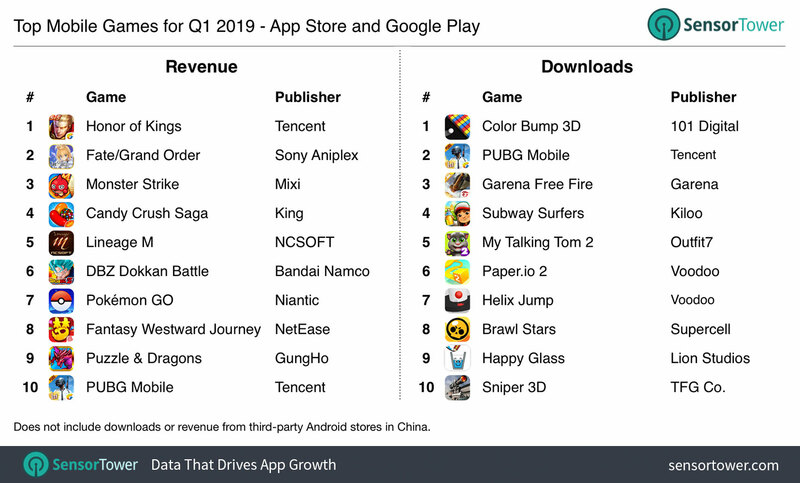 When it comes to top mobile games, Sensor Tower noted that "8 of the top 10 grossing mobile games in Q1 were developed in Asia, led by Tencent’s MOBA Honor of Kings, which was once again the world’s No. 1 earning mobile app across all categories. "